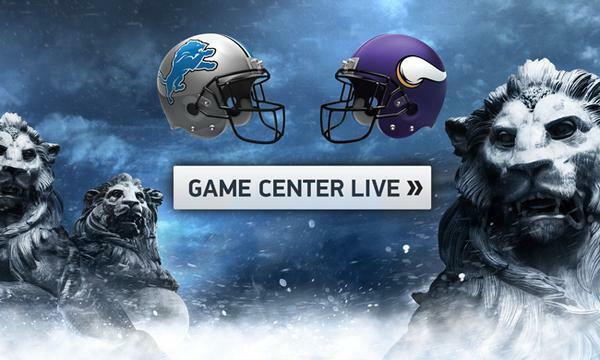 The Vikings play the Detroit Lions and look to get back on track after a bad loss to the 49ers. Join in on the discussion as Andrew Krammer, Judd Zulgad and others react LIVE during the game with #1500ESPNLive. #1500ESPNLive is an experience like no other. You will get instant commentary, opinion, analysis and reaction to what is happening on the field. Enjoy real time videos, photos, audio and posts from around the world via social media. Hello and welcome to the Vikings gameday hangout! What's your prediction for the final score? 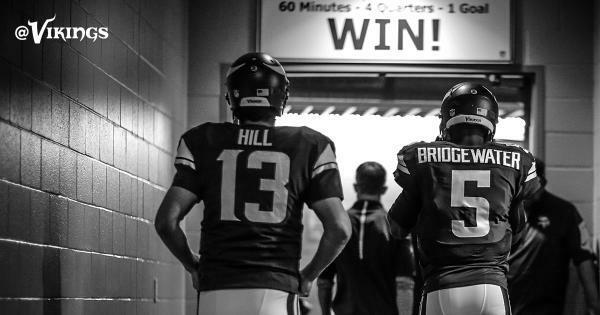 Check out these behind-the-scenes #VikingsGameday photos! In addition to the 4 regulars (Bridgewater, Greenway, Griffen, Peterson), S Andrew Sendejo will serve as a captain for today's game. Whoa, a throwback Tarkenton jersey? Cheers fill TCF Bank Stadium as Adrian Peterson is last #Vikings player announced out of tunnel, his first home game since 2013. Vikings captains today are Greenway, Peterson, Griffen, Bridgewater and Sendejo. Yes, Sendejo. Detroit won toss and deferred. 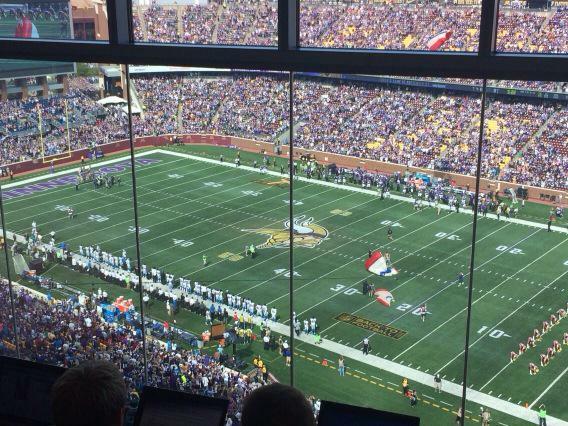 For those asking about Vikings Ventline, it will start as soon as game ends today on @1500ESPN . @PhilMackey & @thesuperstar68 will host. 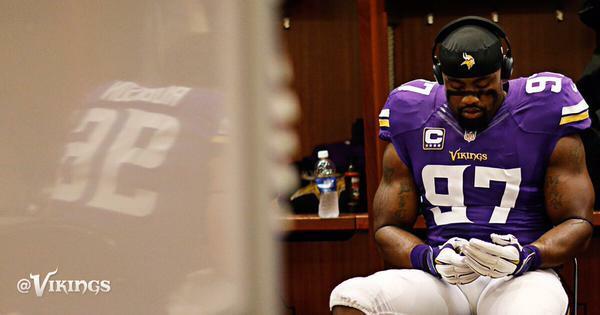 What if the #Vikings don't pass today? 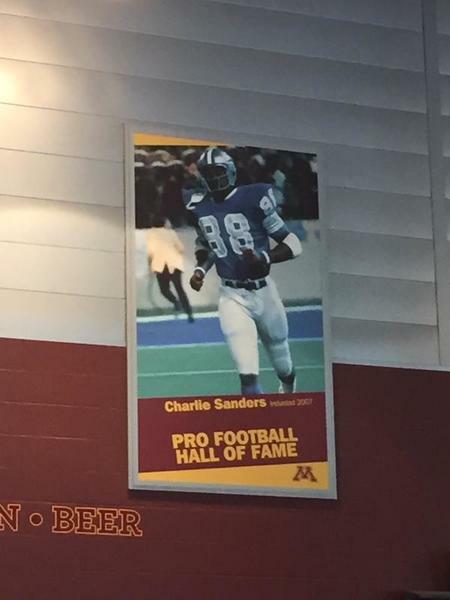 Like, what if Peterson just gets it 56 times?
. @AdrianPeterson with a 25-yard carry, his longest of the 2015 season. #Vikings go up 7-0, with 8 runs to 3 passes on the opening drive. Seven carries for Adrian Peterson, 50 yards. #VIkings score 1st with a 5-yard TD pass from @teddyb_h2o to @KyleRudolph82 . Rudy is now 3rd all-time among #Vikings TEs with 18 career TDs. 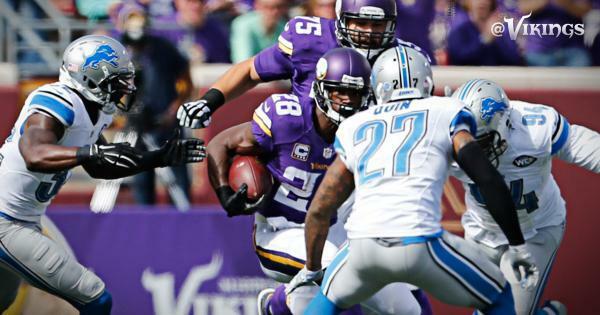 Adrian Peterson: Already with more yards and almost as many carries as last week. Vikings take 7-0 lead by running the famine, famine, feast offense that Adrian Peterson told these guys to run years ago. #Vikings ran 7 of 11 plays out of shotgun on that drive. Peterson carried seven times, four with Bridgewater under center, for 45 yards. #Vikings split under center/shotgun with Peterson, first four came under center, including 25-yarder on hurry up. Issue with Peterson out of shotgun -- three carries for 7 yards with a no gain -- is that he dances way too much in the backfield. Xavier Rhodes followed Calvin Johnson in the formation on that last play, first on Rhodes' opposite side. Zimmer 'doubted' he'd have Rhodes shadow 81, but you know better by now. Linval Joseph just put Travis Swanson on roller skates.